Happy Monday. I hope you had a lovely weekend. Today I thought we would look at a color in bags that I believe is severely underrated. As it is often said, it isn't easy being green, but I tend to disagree. 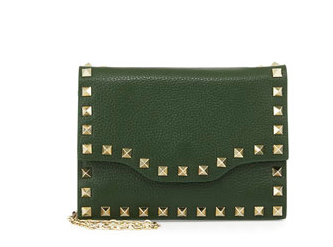 Green is gorgeous, especially when it comes to handbags. I love it because it goes with both black and brown and in this cold weather, it's a nice pop of something when outerwear tends to be so neutral. 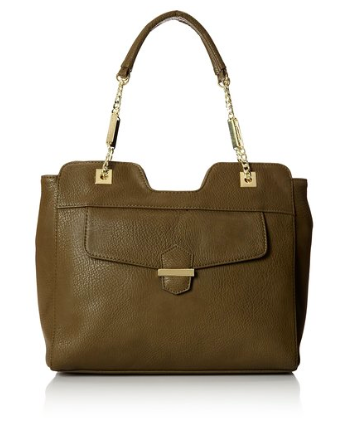 This bag is on crazy sale until Wednesday. It's originally $170, I cannot tell you how amazing this sale price is. Go now. I love a top handle and cross body option. 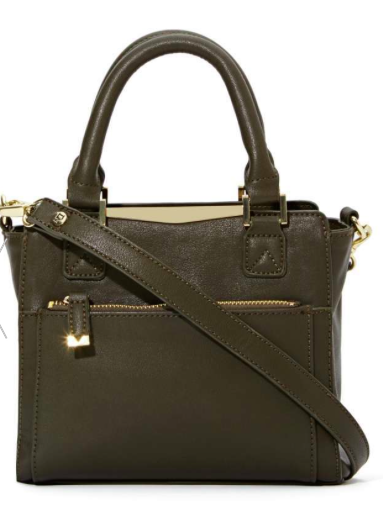 This is olive hue is accented beautifully with gold accents. 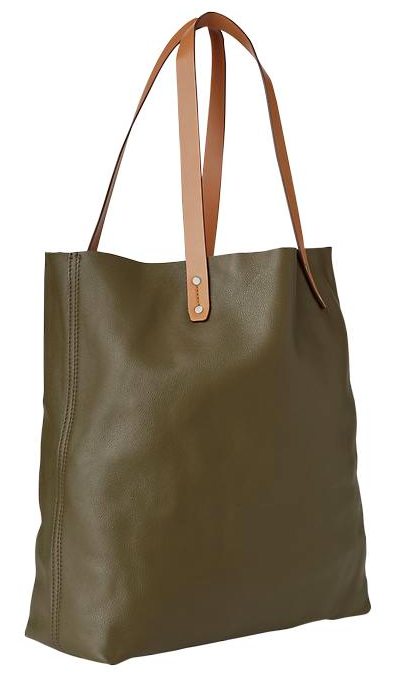 This slouchy and soft leather is perfect for the weekend. Throw everything in and go. Did I mention it was originally $135? Another great olive option. Look at this interesting top. Geometric and almost Tetris-like. This is a great winter shoulder bag. I'm all for chocolate brown and black and even a pop of neon now and again, but these green options are really striking a chord with me right now on these chilly days.